HEY!! If this was the Saturday night game, I was THERE! We sat along the first base line–and loved the fireworks after. Wish I’d known you were in the crowd. Oh for heaven’s sake, Mary! Yes, it was last night. 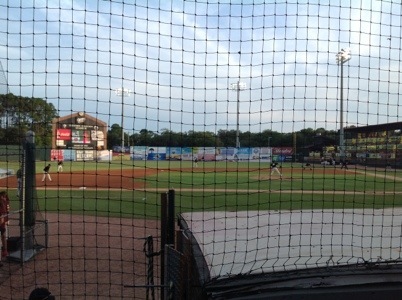 I posted from the game, from an Ipad. (Aren’t I so techno-savvy?) 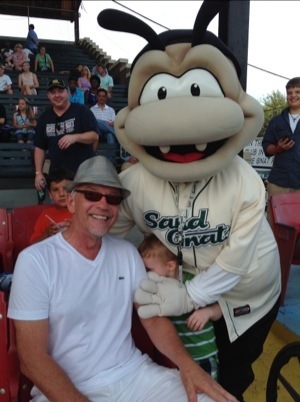 And I was just a stone throw’s away on the third base line. But then again, you always were first at everything. And yes, I was impressed with the foreworks too. But do you ever wonder who thought up the IDEA of fireworks? I mean, come on, fireworks?? Or for that matter, the Kardashians?? Hey! 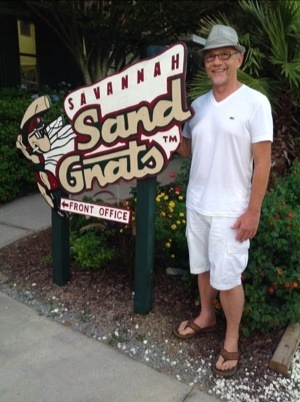 My husband played baseball for Armstrong in Sav’h, and he played all his college games at the Sand Gnats stadium: is that what it’s called? Oh, it’s Grayson Stadium, I think! 🙂 Looks like you had a great weekend! Wow, Leigh Ann! Really? You guys are famous.